Explanation: Black spots have been discovered on Mars that are so dark that nothing inside can be seen. 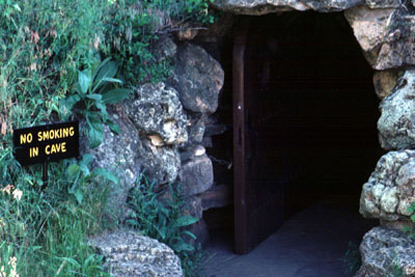 Quite possibly, the spots are entrances to deep underground caves capable of protecting Martian life, where it to exist. 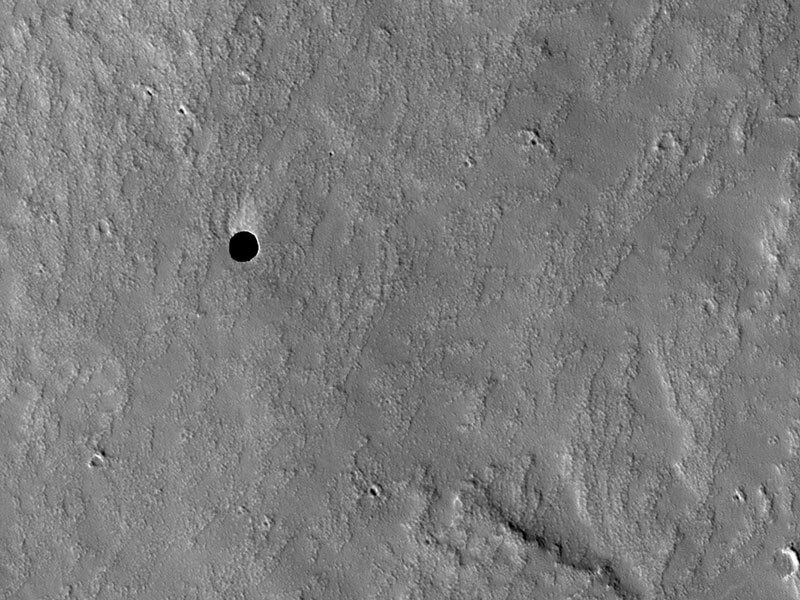 The unusual hole pictured above was found on the slopes of the giant Martian volcano Arsia Mons. The above image was captured three weeks ago by the HiRISE instrument onboard the Mars Reconnaissance Orbiter currently circling Mars. 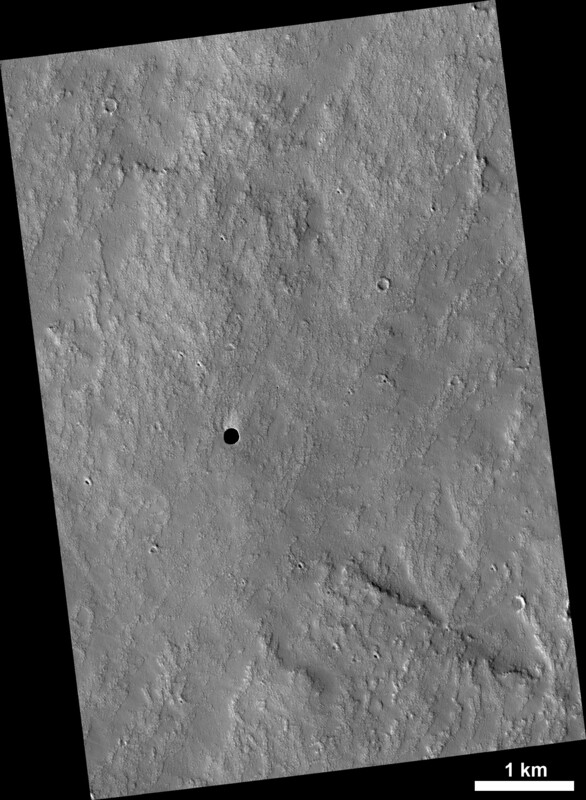 The holes were originally identified on lower resolution images from the Mars Odyssey spacecraft, The above hole is about the size of a football field and is so deep that it is completely unilluminated by the Sun. Such holes and underground caves might be prime targets for future spacecraft, robots, and even the next generation of human interplanetary explorers.